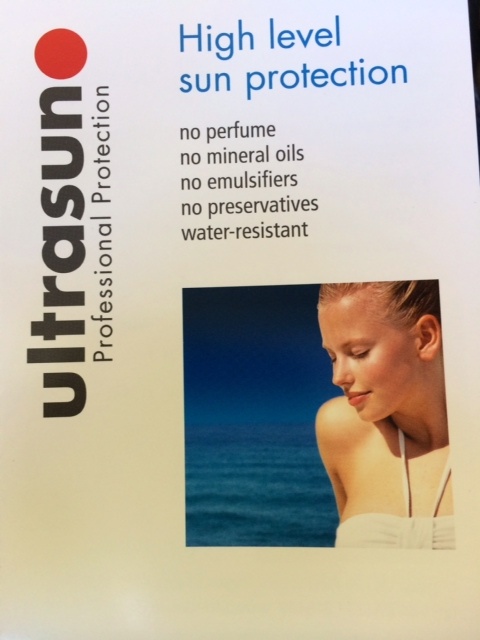 Last week I met Abi Cleeve, Managing Director of Ultrasun, a leading provider of small range quality products to satisfy all your sun protection requirements, headquartered in Switzerland. The introduction was initiated a couple of weeks ago by a good friend of mine Lucy (HRH/PR Queen), and I was delighted. The lightning speed at which Abi replied and offered us to try Ultrasun’s products out on the Pacific was very kind and an exciting prospect for us. Within just a few days, I drove down to their Reigate office and met a wonderful team full of enthusiasm and energy, equalled and surpassed by Abi’s. What busy MD would have the time to meet a random ocean rowing crazy for over an hour? Abi. Thanks! 1. Awareness: The biggest defence we have against the sun is ‘awareness’ – Team Pacific Rowers are fully on board to help educate anyone interested about sun care and skin cancer in every way possible. 2. Expertise: Ultrasun are the only European brand that sell products in in Australia (the Kings of Sun Protection), why no others? Because EU regulation is less stringent and big brand sun cream manufacturers literally get away with old school formulas that are frankly not up to scratch. It costs £150,000 to test for UVA and UVB a piece, so why ‘waste’ and sink £300k in R&D costs before even thinking about a marketing campaign and overheads? 3. Unique: Ultrasun continuously invest, innovate, re-create and refine formulas for maximum UVA & UVB protection, ie. 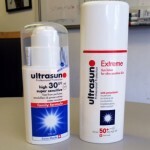 they take their products and the damage sun can cause much more seriously than others! Full advantages here. 5. Usage: Apply suncream 10 mins before going into the sun, apply lip protector above and below the lip line as well as on the lips, use on eyelids too if that ‘floats your boat’ (pardon the pun). 6. Knowledge: Water reflects 56% of the suns rays on average depending on the shade of the water, so cover all areas of skin, and don’t leave any part of the body exposed, especially skin closest to the bone – take note balding men! Uhhh… all of us then, except our glam pin-up boy, whipper snapper Sam?! This is not just a shout out to Ultrasun for kindly giving us a bunch of free stuff (yes that helps), but I was genuinely intrigued and impressed with the brand and what they do and stand for. 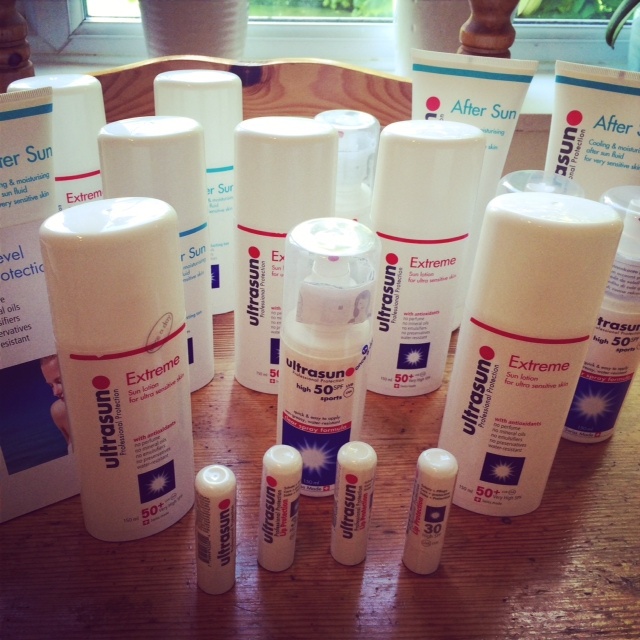 Team Pacific Rowers will all be proud users of Ultrasun’s fantastic formulas this summer on the what’s forecast to be the hottest North Pacific conditions seen in years! We will blog in due course on the real effectiveness of the various lotions, but we’re all very excited about the prospect of protecting our skins with just one application/per day – thanks Abi and everyone in the company for the opportunity! 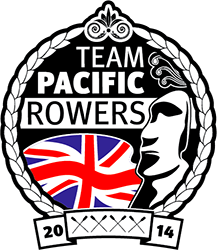 By: James Wight, Team Pacific Rowers. 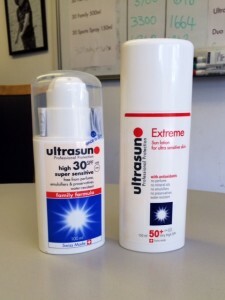 This entry was posted in Blog and tagged Sun, Sun Cream, Sun Lotion, Sun Protection, Sunburn on May 21, 2014 by James Wight.